Tarandeep is a Partner in McKinsey and Company's Melbourne office. 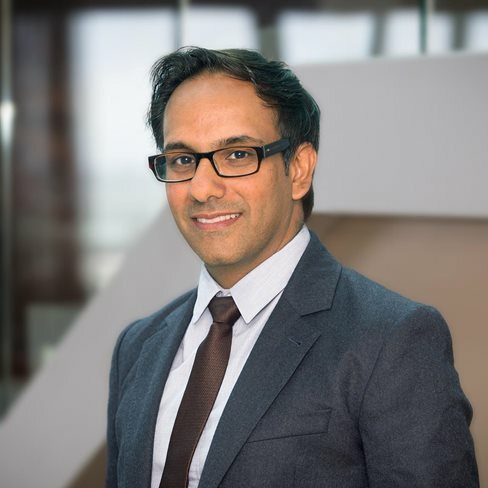 Tarandeep co-leads McKinsey’s Energy practice in Australia and New Zealand. Over the last 12 years, he has worked extensively with companies across the energy value chain in Australia as well as Asia, serving clients on a variety of topics including strategy, M&A, operations improvement and comprehensive business transformations. Tarandeep holds an MBA from the Indian School of Business and an M. Tech from the Indian Institute of Technology Delhi. 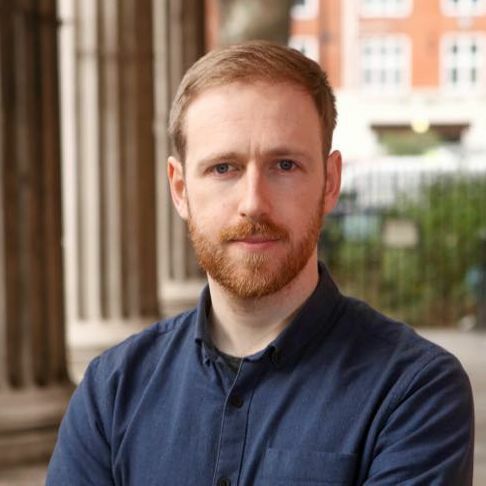 Rob has a background in science and sustainability and has worked in the energy and emissions sectors across large organisations start-ups and in government consulting for over 10 years. 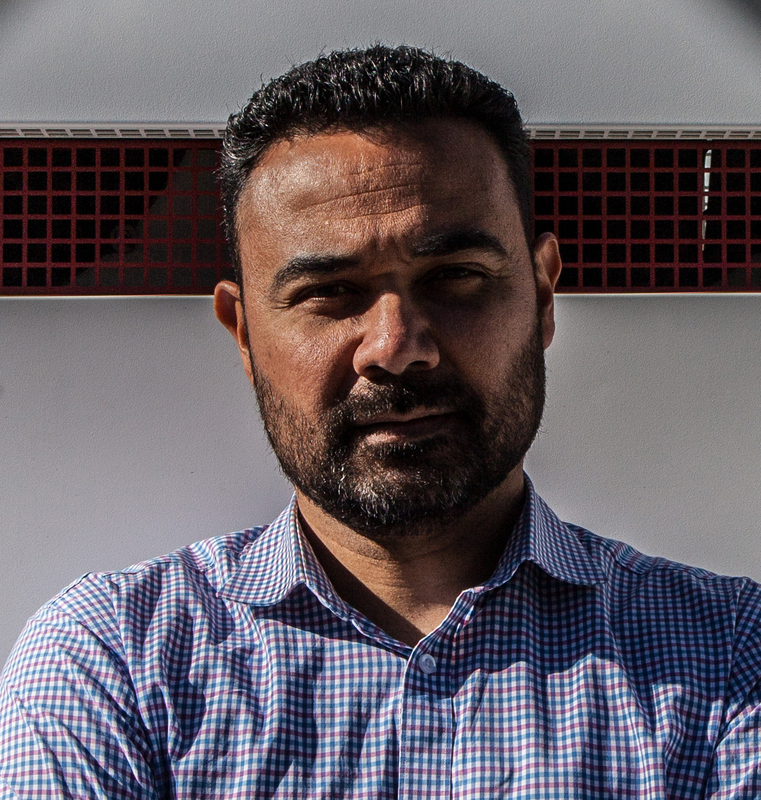 He is behind the creation and launch of AusNet Services’ new commercial energy brand Mondo, and now oversees communications with particular focus on large infrastructure, mini-grids, and developing energy technologies. Energy Services, Head of Eco-Markets and Senior Energy Trader. With a decade of industry experience, a robust understanding of current and emerging consumer issues in the Australian energy market and a demonstrated passion for innovation and consumer-first strategies, Michael is the Head of Commercial & Strategy for renewable energy generator Meridian Energy Australia and energy retailer Powershop Australia. Ranked by Greenpeace as Australia’s greenest energy company (2014 & 2015), Powershop is a 100% online energy retailer, driving a unique service that gives customers transparency like they’ve never had before over a key part of their household budget - their energy bill. Serving customers in Victoria, New South Wales, and South East Queensland, Powershop is Australia’s only electricity retailer to be certified 100% carbon neutral by the Australian Government, and now retails electricity to over 100,000 customers including homes and businesses around the country. 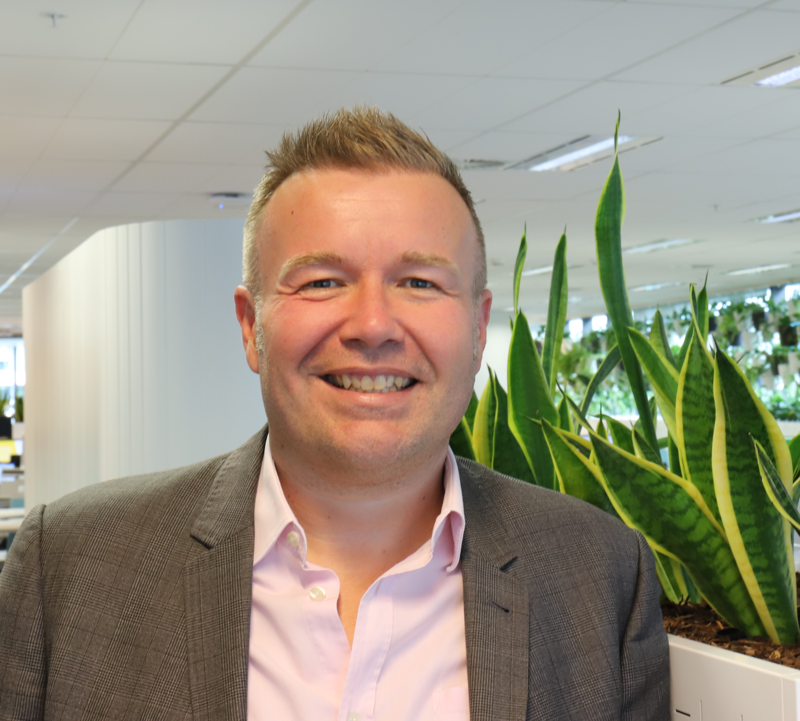 Michael was appointed Head of Commercial & Strategy for Powershop Australia in January 2016, having previously been the Financial Controller for Powershop Australia and its parent company Meridian Energy for five years. Prior to his work in the energy sector, Michael held various finance and analyst positions in both Australia and the UK, having qualified as a CPA in 2009 and completed a Commerce degree early in his career. Michael’s domain expertise in the Australian energy market alongside his experience in data analysis, accounting and financial reporting have made him a leading voice in the Australian energy market. His speaking expertise includes consumer trends, renewable energy, community and peer-to-peer energy trading, industry disruption and innovation. 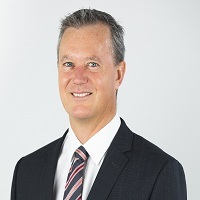 Andrew Bills commenced as CS Energy’s Chief Executive Officer on 22 October 2018. He has more than 20 years’ experience in the energy and infrastructure industry where he has worked in trading, retail, generation, LPG, solar, and renewables. Prior to joining CS Energy, Andrew worked for Origin Energy as General Manager LPG and Health, Safety and Environment in the Energy Markets Division. In this role Andrew led the LPG arm of the business, a complex task that spans across 75 sites in nine countries, including four joint ventures in the Asia Pacific. Among his many achievements at Origin he executed a new business model within the LPG arm of the business and reduced annual operating expenditure in the Energy Markets business by over $100 million. Prior to Origin, Andrew worked at Babcock & Brown Power where he was responsible for establishing a joint venture company to trade, operate and maintain two power stations. Before that he was a senior executive at Stanwell Corporation where he managed the trading and marketing functions. 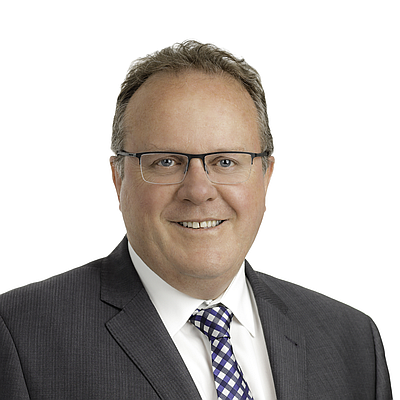 Andrew has served as a director on multiple boards, including as Chairman of Gas Energy Australia, and an Industry Representative on the Advisory Council to the Energy and Water Ombudsman Queensland. Dr Phil Blythe (Ph.D.) is a leading specialist in optimising distributed energy resources for electricity markets. As the Founder and CEO of energy-tech company, GreenSync, Phil has driven the growth and enablement of decentralised energy marketplaces through innovative technology and software solutions. Phil draws on two decades of experience in commercialising new technology in Australia and the UK. He has held senior executive positions with technology and financial services start-ups in the energy, smart facilities, media and financial risk management industries. Phil is a member of AEMO’s Expert Advisory Panel and an active contributor to discussions around the future of energy markets, the instrumental role of distributed energy resources and grid edge innovations. He has undergraduate qualifications in aerospace engineering and completed his PhD at the University of Sydney. Phil has held academic posts at the Max Planck Institutes in Germany and the University of Sydney. Tim has 30 years financial markets experience, covering Australia, Asian and global equities. Tim provides financial analysis in the electricity sector for IEEFA, studying energy efficiency and renewables across China and India, and stranded asset risk in Australia. Tim has published numerous financial papers, including “Indian Electricity Sector Transformation” in November 2017. Tim was co-founder of Arkx Investment Management, a global listed clean energy equities fund (2009-2013) that invested in the opportunities of energy market transitions. Westpac was a cornerstone investor. 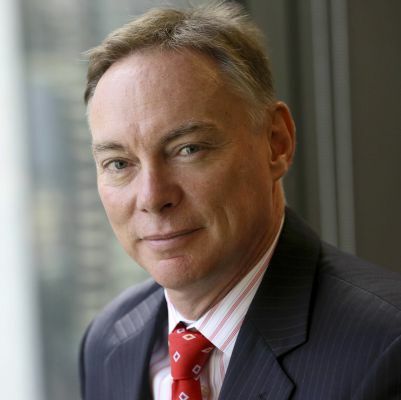 From 1998 to 2007 Tim was Managing Director at Citigroup and Head of Australasian Equity Research from 2001. 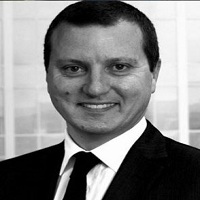 Mark Busuttil is Head of J.P. Morgan's Australian Energy & Utilities Research team. Mark has been a research analyst for 15 years covering a number of sectors including Aerospace, Retail, Steel, Building Materials, and Metals & Mining. 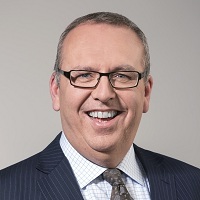 He holds a Master of Business Administration from the University of Western Ontario as well as a Bachelor of Engineering from the University of Western Australia. Working with clients to understand and address their most pressing energy issues and most exciting investment opportunities, Sam is actively involved across the full spectrum of the energy sector. This includes engagements with government, large energy consumers, generators, network owners and project investors. Prior to joining Aurecon, Sam spent the bulk of his career at one of Australia’s leading integrated energy companies, lately working with a portfolio of international joint venture companies to unlock investment opportunities in South East Asia and South America. Sam completed both his PhD and Bachelor’s degrees at the University of Adelaide, was previously a member of the research advisory committee of the CO2CRC; is a former advisory board member for the South Australian Centre for Geothermal Energy Research; and is a member of the Australian Institute of Energy. He is also a graduate of the Australian Institute of Company Directors. Lyn heads up the ACCC’s new Electricity Markets Branch, which has a long-term role to monitor and report on the supply of electricity in the NEM. The ACCC’s monitoring spans the level and spread of retail price offers, wholesale prices, profits, contract market liquidity, and the effects of policy changes on the NEM, including those resulting from recommendations made by the ACCC in its Retail Electricity Pricing Inquiry report of July 2018. Lyn has had extensive experience in the ACCC, working across a number of areas, including infrastructure regulation, adjudication and enforcement. Prior to working at the ACCC, Lyn worked at Ofgem in the United Kingdom and the Commonwealth Treasury. Lyn has qualifications in law and economics. Bridgette Carter is the Manager Energy Sourcing and Utilisation for BlueScope Steel. 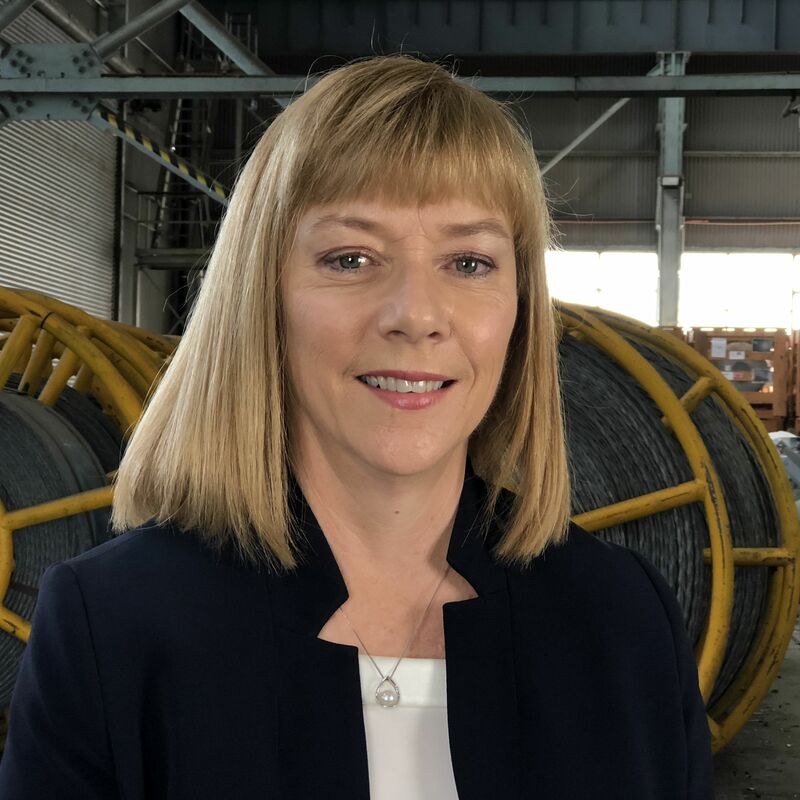 She manages the team responsible for procuring BlueScope’s Australian energy and utility needs, overseeing contracts worth in excess of $170 million per annum across more than 50 operational sites. Bridgette has spent over 20 years in the manufacturing sector with significant experience in energy procurement, energy and carbon accounting, energy efficiency, energy regulation compliance and energy policy. She holds a degree in Engineering as well as a Masters in Professional Accounting. As the Head of Government and Community Relations ta AGL Energy Limited, Tony Chappel is accountable for delivering Government and Community engagement across AGL business units nationally. Prior to joining AGL, Tony served as a Chief of Staff in the Baird Government, which he joined in 2012. Prior to that, Tony worked as a researcher at the Smith School for Enterprise and the Environment at the University of Oxford, where he worked on projects mapping sectoral sustainable development pathways for the government of Rwanda, and on applied research with AFD, the French development agency, regarding the use of economic tools to address environmental issues. In 2009, he left Australia to study energy policy on a Chevening Scholarship at Imperial College London and the University of Oxford, having worked in finance and equity capital markets since 2004 in the clean tech and resources sectors. Matt Cheney leads the Grid Transformation Function at Western Power, with responsibility for the future network strategy and for the development and prioritising of network plans to maintain service and performance standards. Western Power is a Western Australian Government owned corporation that transmits and distributes electricity to more than one million customers across 254,920 km2. The network incorporates more than 102,000 kms of wires, along with more than 860,000 poles and towers. Matt’s team is accountable for pilot projects including stand-alone power systems, microgrids and a utility scale battery energy storage solution. The objective being to provide the WA community with solutions to deliver power in new, efficient and innovative ways to meet their changing needs. With 20 years’ experience in a diverse range of roles and industries Matt has established himself as a versatile asset manager and business leader. He previously formed part of the leadership team that implemented improved asset management practices across the business, focusing on maintaining the integrity of in-service assets. Matt also held primary accountability for the strategic asset management of conductors across the network, in addition to the implementation of Smart Grid technologies. He holds a Bachelor of Engineering (Aerospace Avionics), and is a member of the Asset Management Council of Australia. Derek is a Senior Investment Director at AustralianSuper and has over 15 years’ experience in the infrastructure sector. 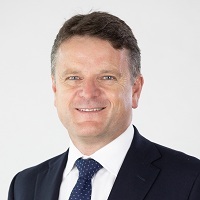 Derek is responsible for asset management of Ausgrid, WestConnex and transaction execution for AustralianSuper’s over $13 billion infrastructure portfolio. 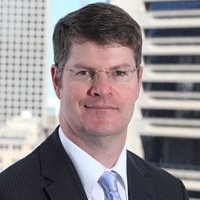 Prior to joining AustralianSuper in 2014, Derek was an Executive Director of UBS’s Infrastructure Asset Management team, focussed on infrastructure investments in the Americas, and before that was a member of the infrastructure teams of Morgan Stanley Infrastructure Partners, Babcock and Brown and UBS Investment Bank. 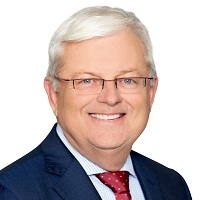 Derek is a Director of Plus Energy Solutions, the unregulated business within Ausgrid, Sydney Transport Partners, the private partner SPV for WestConnex, and holds a Bachelor of Commerce (Honours) and Bachelor of Laws from the University of New South Wales. Charles has over 20 years experience in the energy, utilities and renewables industry and currently leads the energy team at Commonwealth Bank, a key focus of which is the financing of renewable energy projects. Since relocating to Australia 12 years ago, Charles has worked for CBA with a focus on energy and renewables. In this time he has worked on numerous transactions including project, acquisition and corporate financings. He has also been involved in many clean energy initiatives that the bank had undertaken. 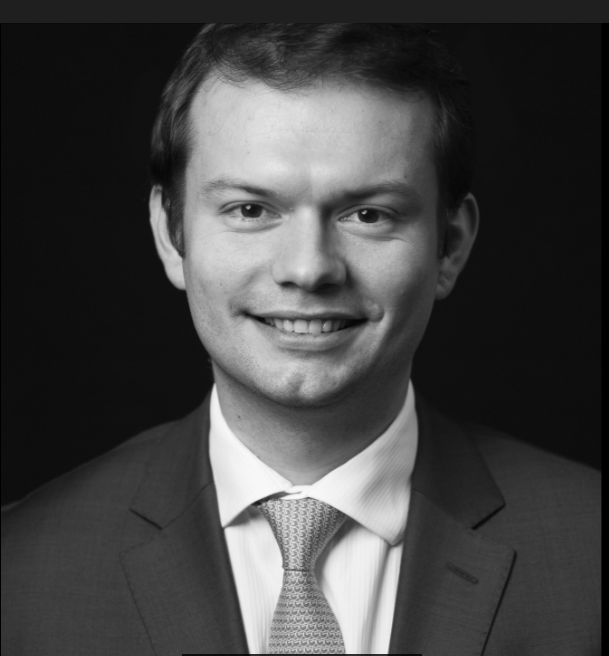 Prior to joining CBA, Charles worked for ConocoPhillips in London for 10 years with roles in finance, business development, project finance and origination / trading covering the energy and renewables sectors. In addition to extensive experience in Australia, Charles also has experience gained in Europe and North America. Andrew Davis is General Manager of Electricity Markets for Jemena, developing and delivering market and customer strategies and growth opportunities for both Jemena’s regulated and unregulated electricity businesses. He has overseen the successful launch of Jemena’s Demand Response program “Power Changers” in partnership with the Victorian Government, receiving second place in ENA’s Industry Innovation Award in 2018 and launch of Australia’s largest microgrid precinct in Victoria’s Latrobe Valley. Prior to joining Jemena in 2017, Andrew worked with the Retail division of Shell Downstream for over 15 years in a variety of senior roles globally including GM Retail for Australia. 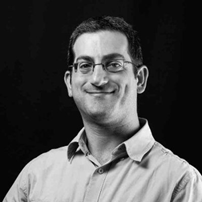 He holds an MA in Marketing from Monash University and is a Director of the EV Council of Australia. 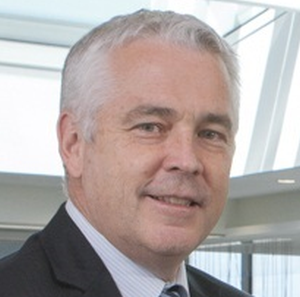 Steve Davy was appointed Chief Executive Officer in September 2013 and has been with Hydro Tasmania since 2005. Steve is Chairman of Hydro Tasmania’s mainland retail business, Momentum Energy, selling electricity on mainland Australia and on the Bass Strait islands. 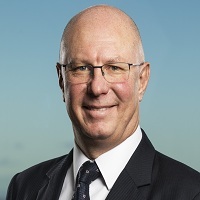 He has previously served as Chair of the Australian Financial Markets Association Environmental Products Committee, and is a Director of the Australian Energy Council. Hester is a chartered electrical engineer with industry experience ranging from Mining, TS&D, Renewable Energy, Civil Aerospace to Construction, having worked in countries across the world with a focus on project management, design management, business strategy and innovation across the complete system lifecycle from research and product development to on-site project delivery. Andrew Dillon is an experienced energy sector executive with more than two decades in the industry. 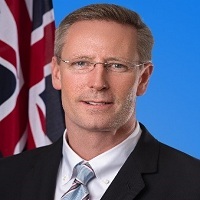 He has held several executive roles including at AustNet Services, an ASX-listed energy network owner, General Manager Corporate Affairs at the Energy Supply Association of Australia and as a senior ministerial adviser in the Victorian Government. Andrew is a Director of the Australian Gas Industry Trust, a former Director of Goulburn Valley Water and is a member of the Hydrogen Strategy Group, led by Dr Alan Finkel, Australia’s Chief Scientist. In March 2011 Jeff joined Alinta Energy as CEO and became Managing Director & CEO in April 2017. Jeff brings approximately 25 years of experience in the energy and water resources industry. Prior to joining the private equity firm TPG Capital as a senior Energy Advisor in September 2010, Jeff spent 15 years with AGL. During his time at AGL, Jeff held executive and senior management roles in the areas of Wholesale Markets (Gas & Electricity), Power Generation, Sales and Corporate. Jeff has held numerous energy industry directorships including The National Generator’s Forum, the Australian Wind Energy Association, the Renewable Energy Generators of Australia, the Clean Energy Council and the Australian Energy Market Commission’s Reliability Panel. Jeff is also the current Chair of the Australian Energy Council. Jeff’s formal qualifications include a Bachelor of Business degree from RMIT University and he has also completed an Executive Programme at IMD in Switzerland. • Managing and negotiating Orora’s electricity and gas contracts across Australia and NZ valued at over $120 M/yr which now includes a considerable renewables portfolio providing 80% of Orora’s electricity needs. • Creation and trading renewable energy and energy efficiency certificate under the RET and state based energy efficiency schemes. • Orora’s compliance with the National and Greenhouse Reporting Scheme (NGERS). • Compliance and maintenance of Orora’s EITE exemptions for the RET and the NSW ESS. • Registration of a renewable electricity power station at Orora’s Botany Paper Mill. • Managing Orora’s energy efficiency program with a target to reduce energy usage per unit of output over the next 2 years by 10%. Peter has over 30 years’ experience in energy markets and was the founding Chairman of the Energy Users Association. He remains on the board of the Association and is also a member of the EUAA’s Electricity and Gas sub committees. He has presented and published numerous papers on various energy market issues including gas and electricity markets and energy efficiency programs. Greg is Managing Director of Delta Electricity which owns and operates Vales Point Power Station on the NSW Central Coast. Greg has over 30 years’ experience in the electricity industry, 20 of which have been in executive roles in the generation sector. Greg is a member of the International Energy Agency’s Coal Industry Advisory Board as the Federal Government’s nominated generator, a member of the NSW Coal Innovation Board, and a Director of the Australian Energy Council. Ms Falvi leads the team responsible for reviews and rule changes relating to system security and reliability which have been a principal focus for the energy market bodies in the past three years. She also leads the Reliability Panel secretariat. 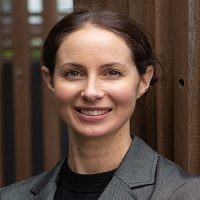 She previously worked as a senior policy adviser for the ACT Government in their energy policy team, as in-house counsel in a solar technology research and development company, and for Minter Ellison specialising in competition, energy, administrative law and commercial litigation. She holds a Bachelor of Economics, a Bachelor of Law with Honours and a Master of Laws in International Law from the Australian National University. Michael is a private equity and advisory professional within the infrastructure sector. Michael is a member of Morrison & Co’s investment team responsible for both long-term asset management and origination of new investments with experience across the utility, renewable energy and transportation sectors. He is currently a Non-Executive Director of Perth Energy, Macarthur Wind Farm, Sydney Desalination Plant and an Alternate Director of Electranet. He was previously with KPMG’s infrastructure advisory team, Macquarie Capital’s principal renewable energy investment team and worked as a thermal coal analyst at Wood Mackenzie. 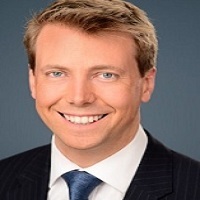 Michael holds a Bachelor of Commerce from the University of Sydney, is a Chartered Accountant and a Charterholder of the Chartered Financial Analyst Institute. Mr. Francis commenced as Managing Director and Chief Executive Officer of Spark Infrastructure in 2012. He originally joined Spark Infrastructure in 2009 as the Chief Financial Officer and served in that role for three and a half years prior to his appointment as Managing Director. Mr. Francis has 20 years’ experience in the Australian energy and energy infrastructure industries. Prior to Spark Infrastructure, he was employed by the ASX-listed gas transmission and energy infrastructure business APA Group, where he was Chief Financial Officer for four years, and by Origin Energy Limited for over eight years in a number of senior management roles in the corporate and operational areas. Mr. Francis is also a Chartered Accountant. 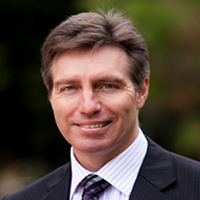 Mr. Francis has been a director of SA Power Networks and Victoria Power Networks since 2009. He was appointed Chair of NSW Electricity Networks Operations (TransGrid) in December 2015 and has served as Deputy Chair since June 2016. He also sits on a number of board sub-committees for Spark Infrastructure’s investments, including audit, risk management, regulatory, HS&E and remuneration committees. Jim has an established history in Australia’s energy markets, with more than 25 years of experience in retail, commercial, sales, marketing and customer operations roles. Prior to joining Alinta Energy in 2014, Jim was General Manager Retail Markets at Origin where he was responsible for the growth and financial performance of the retail business servicing four million customers. This built on 20 years with AGL, where he had responsibility for retail sales and marketing, customer operations, strategic positioning and transformational change across a variety of senior roles. Jim has overseen the expansion of Alinta Energy’s retail presence from Western Australia to the east coast of Australia. He is responsible for profitably growing the retail segment, developing innovative products and ensuring exceptional customer service for Alinta Energy’s one million plus customers. Joel Gibson joined One Big Switch in 2012 after a decade as a senior reporter and editor at the Sydney Morning Herald. As chief content officer & campaign director for One Big Switch, he has run more than a dozen consumer campaigns and is a frequent commentator on utility prices, personal finance and moneysaving strategies. Sarah has been with Power Ledger as a Policy Analyst since the beginning of 2018. She spearheads all research into energy industry regulation, helping to position the company toward wider adoption across jurisdictions worldwide. 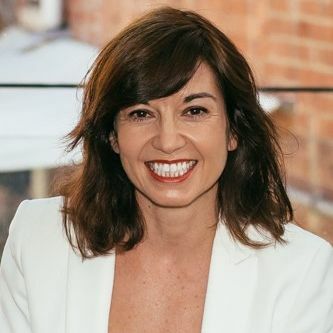 She is also responsible for engaging with external stakeholders, including energy regulators and government bodies, and is part of Power Ledger’s research and development team behind their innovative new energy products, including Virtual Power Plants. 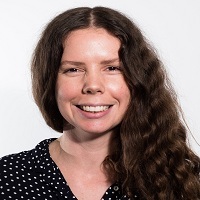 Previously Sarah worked as a research assistant for the Office of Senator Scott Ludlam and holds a Bachelor of Laws (LLB) and Bachelor of Politics and International Studies from Murdoch University. James Harman was appointed CEO of EDL in October 2016. He is keenly focused on safety, growth, and diversification into new markets as EDL strives to be the leading global producer of sustainable distributed energy. For nearly two decades before joining EDL, James held senior executive positions with top tier mining companies in Europe and Australia. Most recently he was Group Head of Business Development at Anglo American in London where he was responsible for leading global growth and strategic relationships, with a focus on China and Japan. James holds a Bachelor of Commerce degree and a Master of Laws degree. Andrew joined Pacific Hydro in 2004 and has held a number of roles in their finance and commercial teams in Australian and Latin America. Andrew in responsible for managing the commercial contracting including long term Power Purchase Agreements, short term trading activities and managing the Tango Energy retail portfolio. 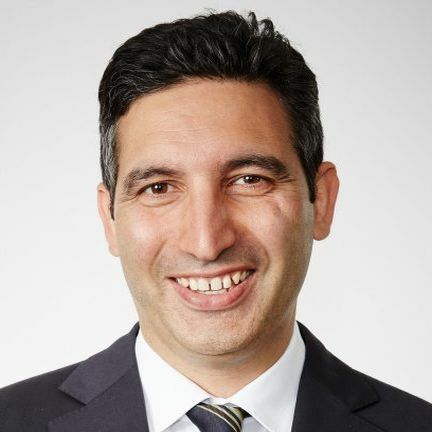 Paul Italiano is the Chief Executive Officer of TransGrid, the operator and manager of the NSW high voltage transmission network. He joined TransGrid in May 2016 after serving as the Chief Executive Officer of Western Power since 2012. Paul’s career includes executive roles at Wesfarmers General Insurance; HBF Health Funds and the RAC. Paul is a visionary leader focused on transforming TransGrid from a state owned corporation into a dynamic, customer focused, fully-privatised energy company. He has been working closely with the Board and Leadership team on a reinvigorated strategic direction, delivering the energy solutions of today and creating the new energy future. The Country is in the midst of a seismic energy transformation, and in this rapidly evolving environment Paul is leading TransGrid to develop a strong and sustainable national energy system that forms the foundation for Australia’s continued economic prosperity. A well-managed transmission network is the platform that can enable Australia’s transition to cheaper, cleaner energy sources, and TransGrid under Paul’s leadership, has made great strides in its journey to make this a reality for consumers. 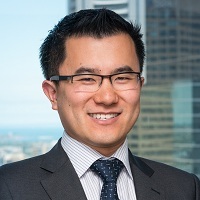 Rob Koh is Morgan Stanley’s lead equity research analyst for Australian utilities and infrastructure. Rob was previously a senior banker at ANZ and Westpac for these sectors, where he worked in advisory, financing and trading. Ian Learmonth joined the CEFC as Chief Executive Officer in May 2017. Mr Learmonth had previously served as an independent member of the CEFC Executive Investment Committee. Mr Learmonth has more than 20 years' experience as a financier and investor, working across clean energy and major infrastructure projects, as well as social impact investments. He joined Social Ventures Australia (SVA) in 2011 to establish its Impact Investing business and raised SVA's first Social Impact fund in 2012. Ian structured and launched Australia's first Social Impact Bond and was also instrumental in establishing a dedicated Social and Affordable Housing fund with large super fund HESTA. Previously an Executive Director of Macquarie Group for 12 years, Mr Learmonth has investment banking experience in Sydney, Hong Kong and London. He established and led various businesses, notably European renewable energy and carbon credit investments, as well a cross-border structured finance and asset financing in Asia and Europe. Earlier in his Macquarie career, Mr Learmonth established the bank's IT operating lease business and completed a number of securitisations for both Macquarie Bank and external clients. Ian has degrees in both Law and Commerce from the University of Queensland and is a director of Sydney's Belvoir Theatre. Hannah McCaughey is responsible for IT, data, procurement, People and Culture, employee relations, and transformation at Ausgrid. Hannah is a passionate about transforming Ausgrid to better serve our customers’ needs. Across her functional operations, she is a leader committed to provide clear and simple support to the frontline and great employee experience. Hannah has 15 years of executive experience in energy infrastructure, power generation and energy retail markets. Prior to joining Ausgrid, she was at Centrica (UK FTSE 30 energy company) for 7 years where she managed P&Ls, led large capital projects, M&A transactions and multi year strategy and business transformation. Her last role was as Chief of Staff and Director of Strategy at British Gas which has over 13 millions customers and 28,000 employees . She was part of the executive team who successfully delivered a significant transformation of service and cost, including a 38% reduction in customer complaints. Prior to this, she was the Commerical Director for Centrica Power Generation, where she was responsible for the nuclear joint venture P&L, which represents 20% of installed power capacity in the UK, as well as the wind joint ventures representing 1.7bn of invested capital. Hannah has Bachelor of Laws (distinction) and Bachelor of Arts from Monash University and a Master of Law (distinction) from University College London. Sarah McDowell was appointed as Director of the Energy Division at the Essential Services Commission in May 2018. Sarah has worked in the energy sector for 14 years. She has held positions in state and federal regulatory agencies, including at the Australian Energy Regulator. Sarah also served as Senior Energy Adviser to the Victorian Energy Minister from 2014-2017. In her career, Sarah has led programs to promote the long term interests of energy consumers in Victoria and Australia. This includes driving reforms to our energy rules, establishing frameworks to monitor and enforce compliance and promoting transparency through improved reporting of our market. Sarah holds qualifications in economics, public policy and law from Monash University. Director Smart Energy & Global Head of Smart Cites COE for Enzen, Global Ambassador Edison Electric Institute (USA Investor Owned Utility Association), Chairman Of Queensland Futures Institute’s Energy Committee, member of 2026 Agenda Leadership Group (Federal spatial industry growth agenda) and Advisory Board member for Smart Wires (USA), Energy Thought Summit (USA), James Cook University and Monash Energy Materials and Systems Institute. Former CEO of Ergon Energy Corporation (2007-16) (top 100 Australian Company by value) with over 30 years industry experience. Associated Awards - 2015 Edison Electric Institute - Edison International Innovation Award (spatial), Energy Supply Association of Australia Innovation Award (spatial), EPRI (Electric Power Research Institute) Technology Transfer Award (smart grid), Engineers Australia award for Innovation, Research and Development (electrical storage) and 2015 Climate Alliance Business Leadership Awards for Business Innovator of the Year. 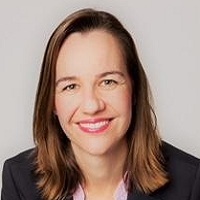 Sarah McNamara was appointed as Chief Executive of the Australian Energy Council in July 2018. Sarah joined the Energy Council as General Manager of Corporate Affairs in January 2016. She is an industry leader with more than a decade of experience working with policy and regulatory frameworks across the resources and energy sectors. Prior to the Energy Council, Sarah was Chief of Staff to the then Minister for Industry, the Hon Ian Macfarlane, and has also worked as a senior policy adviser to the Prime Minister. Between 2008 and 2013 Sarah worked in AGL’s Corporate Affairs team as Head of Government Affairs and Community Engagement. Sarah began her career as a corporate lawyer, and has a Bachelor of Arts/Law from the University of Melbourne. Adrian was born in Melbourne and grew up in Adelaide before his parents moved to the UK when he was nearly 14. Since leaving home at 16 to join the Air Force, Adrian has quite literally dug holes to bury other people’s crap, served on a mountain rescue team, lived and worked in India, been part of a dot-com startup at the turn of the Millennium, started a teddy bear business (but don't tell anyone about that), turned around a $700 million energy business, got an MBA, and spent 4 years running one of Australia’s largest energy retailers. After 15 years in the energy sector, Adrian wanted to put his experience to good use to create something that genuinely helps customers and great organisations. And here it is: Energy Locals, which aims to kill off the traditional retail model by dismantling the things that customers find oh so frustrating about today’s energy. Adrian is a self-confessed workaholic who finds work more of a hobby than a job. This can displease the team at times, who often wake up to a little collection of new Slack messages. He relaxes – well, never really – and loves his hobby of DJing, even though he’s really quite bad at it. Terry Mohn is a global energy expert using smart grid and renewable energy generation to address energy poverty and industrial energy reliability. 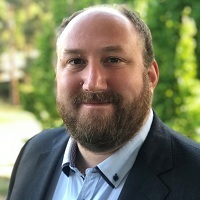 He is currently CEO of General Microgrids, Inc, a global end-to-end solution provider for renewable energy technologies and transformational microgrid development; and Chairman of The International Microgrid Association, a coalition of members of the global microgrid value chain established in Perth, Western Australia. He was previously Contracting General Manager of Advanced Developments at Horizon Power, a State Government-owned, electric utility across regional and remote Western Australia. Previously, Terry provided smart grid and microgrid corporate strategy and development for OATI, the US power industry's most prestigious electric merchant market-making software company. He also served as chairman of the Microgrid Alliance, an international non-profit advocacy group and chairman of the mini-grid work team in United Nations Foundation “Sustainability for All”. Terry was previously VP and Chief Innovation Officer of BAE Systems energy business and Chief Technology Strategist for the Sempra Energy utilities, with emphasis on smart grid. Terry specializes in clean energy and the improvement of electricity delivery by using modern technology. He has 30 years' experience in large-scale system architecture, business strategy, and technology investment strategy. Terry also specializes in the business integration of technologies, primarily supporting smart grid, home automation systems, communication systems, distribution automation, smart metering, demand response, and sense and control. He also is very involved in technology research, funding and commercialization and works closely with major universities. Terry was a founding member and served four years as Vice Chairman of the GridWise Alliance, a consortium of public and private stakeholders who share a vision and stewardship that the US nation’s electric system must modernize for the country to remain competitive on the world market. Prior to his energy roles, Terry was chief technology officer for an international broadband media company and founder of two Internet companies. Terry Mohn is a global energy expert using smart grid and renewable energy generation to solve energy poverty and reliability. He is currently employed by Horizon Power, a State Government-owned, commercially-focused organisation that provides safe and reliable power to about 100,000 residents, 10,000 businesses across regional and remote Western Australia. Terry is accountable for leading a team of specialists to fast-track the development of new energy approaches in partnership with other industry players to build world-leading micro-grid capabilities in Western Australia and in the larger APAC region. He is also responsible to establish a state-recognized framework to advance the state-of-the-art for edge of the grid power delivery systems. Prior to his current appointment, Terry provided smart grid and microgrid corporate strategy and development for OATI, the power industry's most prestigious electric merchant market-making software company. He was previously Chief Executive Officer of General MicroGrids, Inc. He also served as chairman of the Microgrid Alliance, an international non-profit advocacy group and chairman of the mini-grid work team in United Nations Foundation “Sustainability for All”. Terry was previously VP and Chief Innovation Officer of BAE Systems energy business and Chief Technology Strategist for the Sempra Energy utilities, with emphasis on smart grid. Terry specializes in clean energy and the improvement of electricity delivery by using modern technology. He has 30 years' experience in large-scale system architecture, business strategy, and technology investment strategy. Terry specializes in the business integration of technologies, primarily supporting smart grid, home automation systems, communication systems, distribution automation, smart metering, demand response, and sense and control. He also is very involved in technology research, funding and commercialization and works closely with major universities. Terry was a founding member and served four years as Vice Chairman of the GridWise Alliance, a consortium of public and private stakeholders who share a vision and stewardship that the US nation’s electric system must modernize for the country to remain competitive on the world market. Elysse Morgan is an award winning journalist with a specialist business and finance background. She has been at the ABC for almost a decade, and before that in the Sky News Parliament house bureau. After joining the ABC her specialist knowledge saw her appointed as ABC News’ national finance reporter. After 2 years of co-hosting, Elysse is now the host of the ABC’s business programs on ABC1, ABC News channel and radio current affairs program Business PM. Brian has a deep understanding of energy financial markets and has worked with a number of large energy users on financial and physical grid connected and behind the meter energy management solutions. 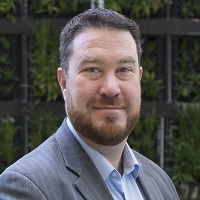 Prior to joining Macquarie, Brian worked at Schneider for 7 years where he led the Electric’s Energy and Sustainability Services business in Australia, a diverse and profitable team of 75 staff focused on improving the sustainability and energy productivity of commercial and industrial sector clients. Brian was a founder and Director of Creative Energy Solutions from 2003 – 2010, the first specialist energy advisor to be awarded an Australian Financial Services License. 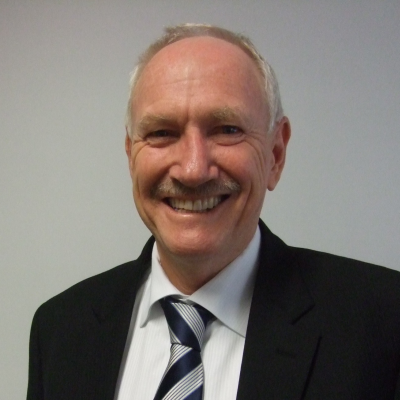 Brian currently sits on the Board and is Chairman for the Energy Users Association of Australia. Associate Professor Tim Nelson leads the AEMC’s Economic Analysis division. Associate Professor Nelson joined the AEMC from his previous position as Chief Economist at AGL, one of Australia’s largest energy businesses, where he managed the company’s public policy advocacy as well as sustainability and strategy. He is a member of Westpac’s Stakeholder Advisory Council and the Grattan Institute’s Energy Reference Group. He previously held a number of roles with the NSW Government and the Reserve Bank of Australia. 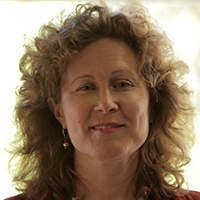 Associate Professor Nelson is an associate professor at Griffith University. He holds a PhD in Economics from the University of New England for which he earned a Chancellor's doctoral research medal. 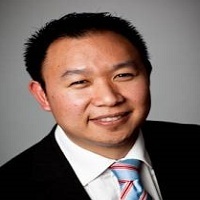 Sam joined APA Group in July 2008 and was formerly General Manager Corporate Development and Investments. Sam has over 20 years' experience in the energy sector, covering mergers and acquisitions; investment management; commercial and business development; greenfields project development; strategy; and operations. Commissioner Pierce was appointed AEMC Chairman in June 2010. His commitment to industry and regulatory reform has underpinned his contribution to national energy reform through a number of senior roles including his tenure as Secretary of the Federal Department of Resources, Energy and Tourism which followed 12 years of service as Secretary of the New South Wales (NSW) Treasury. He was a key adviser to Government and Chairman of the NSW Treasury Corporation. Prior to his time at NSW Treasury he was Pacific Power Chief Economist. John holds a BCom (Hons) (UNSW). He was a Visiting Scholar at Boston University during 2004-2005 working on public sector performance management. Danny is a leading expert in energy economics, with extensive experience advising governments, regulators, private utility companies and investment firms. He specialises in power sector modelling, power trading and hedging, performance assessments, industry reform, regulation, asset sales and acquisitions, and greenhouse policy, and has led a number of major projects on energy industry regulation and reform in Australia. He has advised many of the world’s largest energy utilities in countries including Australia, the US, Singapore, Kenya, India, New Zealand, China, Finland and Jamaica. Danny was previously a Principal Economist at the New South Wales Electricity Commission, where he was heavily involved in the design of the Australian National Electricity Market rules and industry structure, and in assessing the economic and financial performance of the Australian electricity and gas supply sectors. 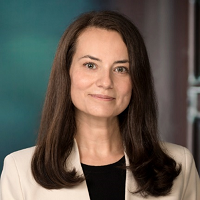 Stasha Prnjatovic is Investment Director with AMP Capital, Infrastructure Equity, responsible for asset management of AMP Capital’s energy investments in Australia and New Zealand and is an alternate director on the boards of Endeavour Energy and Powerco. Stasha has 13 years of experience in both listed and unlisted infrastructure markets, having previously worked in transactions, asset management and equity research. Before joining AMP Capital in 2017, Stasha was a Director with NSW Treasury where she led $34 billion privatisation of the State’s electricity networks. She had responsibility for asset management of the State’s electricity assets portfolio prior to the commencement of the privatisation process. As an equity analyst with Citigroup Global Markets, Stasha was responsible for the coverage of Australian and NZ listed utility and infrastructure companies. Stasha holds BComm (Hons 1) from University of Sydney and is a Graduate of the Australian Institute of Company Directors. 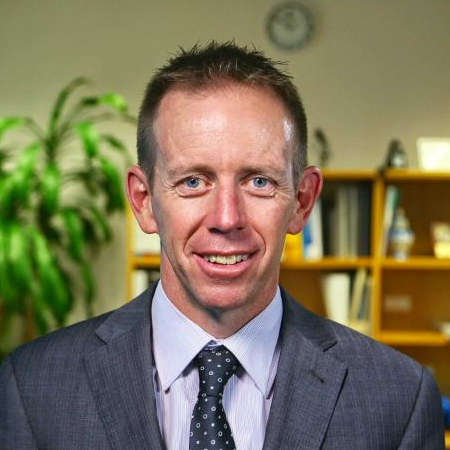 Shane Rattenbury is the Minister for Climate Change in the Government of the Australian Capital Territory (ACT), Australia. He is a member of the Greens Party and he, along with another Greens Member, holds the balance of power which allows the Labor party to form a minority Government. Inspired by key environmental issues of the 1980’s and 90’s including ozone depletion, Antarctic protection and logging, Shane became a keen environmental advocate at a young age. He joined the Greens party whilst studying Economics and Law (Honours) at the Australian National University. Shane joined Greenpeace Australia in 1998, where he campaigned on local issues like preventing toxic emissions. In 2005, as Head of Greenpeace’s global oceans campaign, Shane led an expedition of two Greenpeace ships to Antarctica to confront the Japanese whaling fleet. Shane has been a Member of the ACT Legislative Assembly since 2008 where he has held a number of roles including Speaker and Minister. As Minister for Climate Change, Shane is implementing the ACT’s ambitious climate change agenda. The ACT has set world leading targets of 100% renewable electricity by 2020 and zero net emissions by 2045. The ACT has commissioned several major wind and solar farms and will achieve its 100% renewable electricity target on time. Other recent initiatives have focused on reducing transport emissions, including by building the city’s first stage of a light rail network, and by commencing transition of the Government’s approximately 600 vehicle fleet to zero emissions vehicles. 2012 and appointed as the first ACT Greens Minister by the Chief Minister, taking on the portfolios of Territory and Municipal Services, Corrective Services, Housing and Aboriginal and Torres Strait Islander Affairs. Charles Rattray was appointed to the Energy Queensland Executive in December 2016 and is responsible for leading the growth of Yurika (which includes Metering Dynamics and Nexium) – Energy Queensland’s unregulated services business. Prior to joining the Group, Charles had an international career with periods pursuing new commercial opportunities in Australia, the United Kingdom, Switzerland and the USA, as well as a number of emerging markets. He started his career with the Australian Defence Force before moving into banking with a focus on energy, infrastructure and mining. Charles recently supported the development of new businesses that utilise disruptive technologies, including distributed energy assets, solar, wind, batteries and smart meters. Charles holds a Bachelor of Commerce, majoring in finance, and a Bachelor of Arts, majoring in political science and history, both from the University of Melbourne. 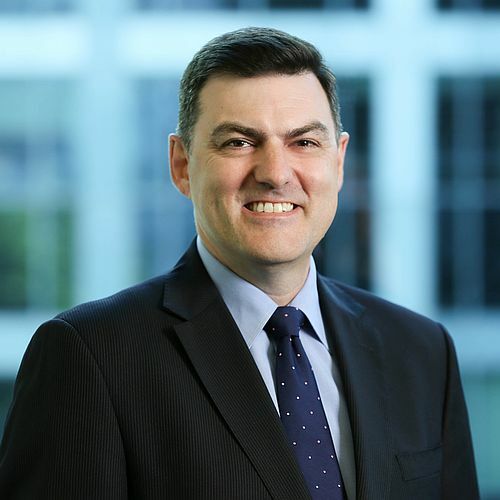 In late 2018, Brett Redman was appointed AGL's Chief Executive Officer & Managing Director on a permanent basis, effective 1 January 2019. Prior to his appointment, Brett was AGL’s CFO since 2012, where he was responsible for driving AGL’s key priority - to execute growth at scale as the business seeks new revenue streams. This builds on leading previous successful growth initiatives including the acquisitions of Loy Yang A and Macquarie power stations, as well as the creation of the Powering Australian Renewables Fund. Brett has over 25 years of experience in senior finance roles in large blue-chip industrial companies, with expertise in leading group strategy and finance in the Energy and Utilities sector. 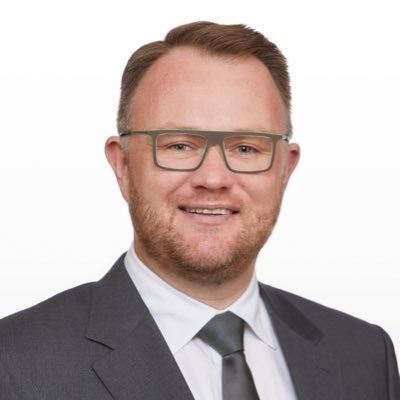 Before joining AGL in 2007, Brett held numerous finance roles at BOC in the South Pacific and North America, Email and CSR, which was complemented by his background in chartered accounting at Deloitte. 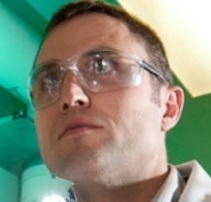 Daniel leads CSIRO's Hydrogen Energy Systems Future Science Platform. The Hydrogen FSP plays an important role in CSIRO's broad hydrogen RD&D program, by providing a strong scientific and technical foundation to CSIRO's work in enabling a renewable energy export industry based on hydrogen. By creating new capabilities and technologies across the hydrogen value chain, this work will enable significant decarbonisation of power and transport sectors. Before taking on the FSP role, Daniel led the High Efficiency Thermal and Electrochemical Technologies research group within CSIRO Energy. He continues to play a senior role in CSIRO’s research activities in the area of coal, biomass, and waste gasification in the context of low emissions power and chemicals as well as energy from biomass and waste. Daniel has more than 20 years' experience in the study of the fundamentals of gasification and combustion and their application to industrial scale systems. He has a background in environmental chemistry (Macquarie University) and chemical engineering (the University of Newcastle). During his postdoctoral studies with the CRC for Coal in Sustainable Development Daniel spent 6 months with the Central Research Institute of the Electric Power Industry in Japan, as part of the team providing the R&D support to the development of Japan's first IGCC power generation demonstration plant. 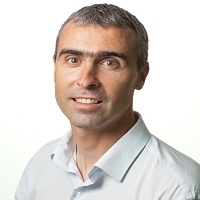 Daniel joined CSIRO in 2001 based in North Ryde, and moved to Brisbane in 2002 as part of the commissioning of the flagship gasification research facility at the QCAT laboratories. He has been a Group Leader since 2007 and in his current role oversees CSIRO’s work in the areas of gasification, syngas, and H2 production; electrochemical and hybrid energy systems for power generation, hydrogen generation, and energy storage; and fuel and engine development activities for direct injection carbon engines for high efficiency power from coal and biomass. Geoff has played a key role in implementing Synergy’s retail strategy as the business prepares for more competition and a greater level of disruption from non-traditional players. This strategy has included the development of new energy technology trials, automation of lower value transactional processes, relaunching Synergy’s brand in alignment with Synergy’s purpose, as well as expanding the product range to include a suite of solar offerings including solar PV and residential batteries. His depth of experience in retail has helped Synergy to become a more customer focused organisation. Geoff’s skills span business transformation, strategy, change management, stakeholder management and innovation. 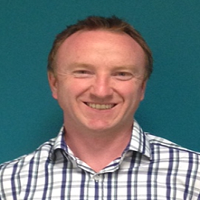 Prior to joining Synergy, Geoff held senior positions within the Australian retail financial services sector. Tim Scholes has worked in technology for over 15 years. He has a master’s degree in applied mathematics and an Executive MBA from the University of Sydney. He is a graduate of the Founder Institute in Sydney and has been a mentor to a number of tech startups. He founded a technology company in South Africa offering services in the Financial Services and Utilities sectors. The company was acquired. He moved to Australia eleven years ago and has worked at Commonwealth Bank, Macquarie Bank , Qantas Assure and Versent. 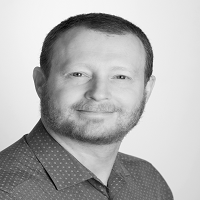 Tim is experienced in multiple cloud platforms, API integration, microservice architectures, machine learning, AI and blockchain. Currently, his position is Head of Enterprise Architecture and Digital Technology at ActewAG in Canberra. Kerry Schott is Chair of the Energy Security Board, Chair of Moorebank Intermodal Company, Chair of Sydney Metro and a Director of NBN. The Energy Security Board was established by the Australian Governments in 2017 to implement recommendations from the Finkel review. Kerry holds a doctorate from Oxford University (Nuffield College), a Master of Arts from the University of British Columbia, Vancouver and a Bachelor of Arts (first class Honours) from the University of New England, Armidale NSW. She was recently awarded an Order of Australia (AO)and Honorary Doctorates from the University of Sydney, the University of Western Sydney and the University of New England. Michael joined Australia's largest food retailer in 2013 and is responsible for managing the energy needs of Woolworths portfolio of +3,000 sites. This includes the full cycle of energy contracting, energy optimisation, DSM, and a multitude of market and energy efficiency related initiatives within the Group. With over 20 years’ experience in most facets of the energy industry, Michael has broad experience gained through multiple roles in sales, customer service, business improvement and technical disciplines for two of Australia's largest energy retailers. Michelle has over 20 years’ experience in energy policy and regulation in both the private and public sectors and has been at the forefront of the markets' development across Australia. 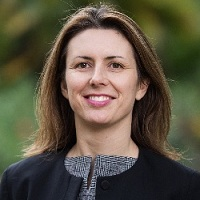 Michelle was the General Manager Regulatory and Government Affairs at Alinta Energy for 6 years where she was actively involved in energy policy reform and the commercial implementation of policy changes nationally. Prior to Alinta, Michelle spent nearly 10 years at AGL where she played a key role in the development of the regulatory frameworks across Australia. Michelle has also worked for the Australian Competition and Consumer Commission, UK Competition Commission and the Federal Department of Finance. Michelle has strong Board experience and a focus on governance. She is currently the Vice President (Deputy Chair) of the YMCA WA and spent almost 5 years on the board of REMCo when it operated the WA gas market. 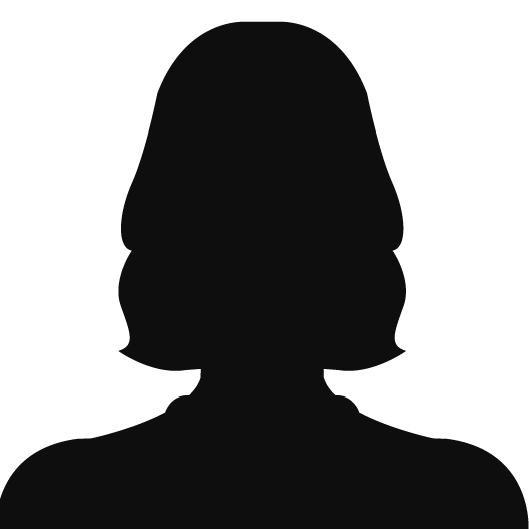 She is a Graduate of the AICD Company Directors Course and holds a Bachelor of Commerce from Curtin University and a Bachelor of Applied Economics from Murdoch University. Jim was appointed as an Adjunct Professor at the UQEI in July 2016 and brings to The University of Queensland a unique and skilled mix of industry and academic experience built from successful careers in the energy industry and private consulting practice. He has worked in the energy sector for 35 years, commencing as a Chemical Engineer in the gas production and supply sector with AGL, gaining extensive experience as an engineer, a senior manager in economic regulation, sales, advertising and marketing, and energy market strategy and design. He also worked in merger and acquisition transactions for the AGL Board, in the procurement of major gas portfolios, gas transmission agreements and associated lengthy wholesale price arbitrations, and in negotiating the major industrial and commercial gas sales agreements. Over a 20-year career Jim has developed and funded a number of very successful energy and water consulting practices across the Asia Pacific region. These businesses largely focused on regulatory economics and market design work but in reality involved a very wide range of topics - from upstream gas to retailing, transmission and distribution systems and regulation generation (grid and remote), renewables, energy forecasting, etc. This work connected him with all the leading energy companies, regulators and government policy groups in the region. 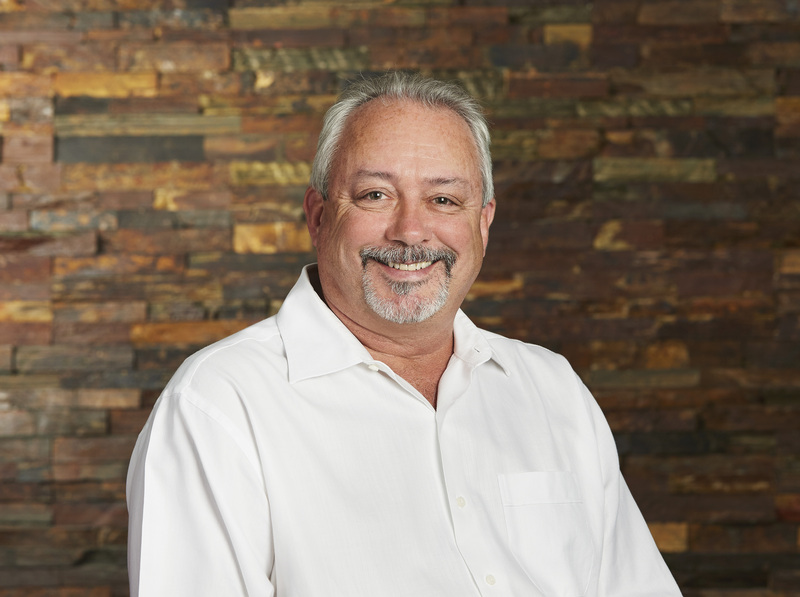 Jim is an Executive Director of Oakley Greenwood Pty Ltd, a leading consulting group in the energy and water sector. Prior to this he was Vice-President and Senior Advisor to Charles River International (Boston) and Executive General Manager Development for Energy Developments Ltd. He holds an honours degree in Chemical Engineering from Newcastle University, and is a graduate of the Mt. Eliza Management College Advanced Management Program. He has headed the Australian Chemical Engineering College Board, sat on the Institution of Engineers Board and has been a Fellow of IEAust (and IChemE) since 1993. Jim feels that the energy industry faces a number of major challenges - it is undergoing fundamental change rather than incremental change, yet does not conduct the detailed research work that is required to inform the industry and policy decision making despite there being billions of economic, consumer and industry value at stake. He feels that UQ and the Energy Initiative could address a number of these issues, thereby forcing the industry to confront fact rather than opinion which in turn could improve policy and investment decision making. Brian Spak leads the grid and renewable energy integration research domain for CSIRO, Australia’s national science and research organisation. His team aims to power communities with 100% renewable energy at 50% the cost of current electricity through technology and business model development, data analysis and economic modelling in collaboration with networks, technology providers and government agencies. He previously led the new energy product division for Portland General Electric (an American electric utility), creating demand response, energy storage, community solar, and electric vehicle programs. He also spent more than a decade in Washington, DC's energy and environmental policy arena, analysing the impacts of clean energy policy for investors, designing sustainability strategies for Fortune 100 firms, and lobbying on behalf of clean tech companies. 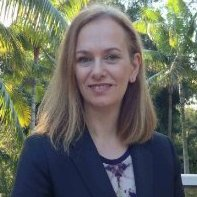 Dr Karen Stenner is Director of Concentric.Energy, a consumer-centric Behavioural Economics consultancy that provides the industry critical insights into energy consumer behaviour. Formerly an academic (Princeton, Duke), she has a PhD in Political Psychology. Dr Stenner designs and empirically tests (via Randomized Controlled Trials) the impact of simple psychological interventions that shift consumer behaviour around the uptake and effective usage of new tariffs and technologies (especially solar), demand response, household energy consumption, customer loyalty and ‘churn’. She re-designs pricing as well as messages and campaigns, bills and correspondence, materials and processes (e.g., call centre scripts), to enhance both business efficiency and customer engagement and satisfaction. Before founding Concentric.Energy, Dr Stenner was Senior Research Scientist and Leader of the CSIRO’s Behavioural Economics and Psychological Insights Team, where she led a nationwide alternative-tariffs experiment and its influential report: Australian Consumers’ Likely Response to Cost-Reflective Electricity Pricing. Jon joined ERM Power as Managing Director and Chief Executive Officer (MD & CEO) on 2 February 2015. Jon also plays an advocacy role in the broader energy industry speaking at various events, such as the Australian Energy Week. Jon is an experienced chief executive with broad international experience in the information technology (IT), telecommunications and industrial sectors. His background in systems and process engineering, and business-to-business (B2B) and business-to-consumer (B2C) sales and marketing has enabled him to lead business transformation and growth in Australia and internationally. Prior to joining ERM Power, Jon was the Executive Vice President, Europe, Middle East and Africa (EMEA) for Landis+Gyr, the leading provider of smart metering and energy management solutions globally. Jon joined Landis+Gyr as Executive Vice President Asia Pacific in January 2008 and in April 2010 moved to Switzerland to take up the EMEA position. Prior to joining Landis+Gyr, Jon was CEO of AAPT, an Australian based telecommunications company, wholly owned by Telecom New Zealand and was based in Sydney. He has had extensive experience in Asia and Europe in IT and telecommunications, starting his career with IBM in Australia in 1986. He spent six years in Hong Kong with IBM and AT&T running substantial cross regional telecommunications services businesses, and several years running AT&T’s business across Europe, Middle East and Africa, based in Paris. In addition to his client work, Humayun leads the Downstream service line in our Electric Power & Natural Gas Practice, which covers T&D operations, new grid technologies, distributed generation, energy efficiency, and customer experience. He is also a leader in the Clean Tech service line of our Sustainability Practice. He has co-authored a number of publications, including the ‘McKinsey on Smart Grid’ publication and recent work McKinsey has completed on energy efficiency, and clean technologies. He has also authored external articles/reports, including in energy and power and with the American Physical Society. He is also a regular panelist and participant in key industry events, including Gridweek, Harvard Electricity Policy Group, GridCom, and senior industry roundtables. Prior to joining McKinsey, Humayun worked for Deloitte Emerging Markets and was an energy consultant at the World Bank. 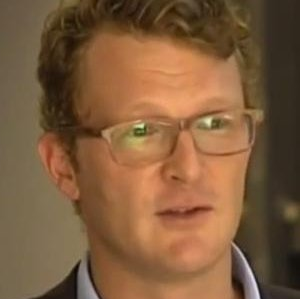 Kane Thornton is Chief Executive of the Clean Energy Council, the peak body for the clean energy industry in Australia. Kane has more than a decade's experience in energy policy and leadership in the development of the renewable energy industry. Kane has advocated for and helped design the policies that have been critical to the renewable energy industry's growth, and continues to be an active political advocate, public presenter and media spokesperson. His previous roles include senior manager and advisor for Hydro Tasmania – Australia's largest generator of renewable energy – and executive officer of Renewable Energy Generators Australia. Kane has broad international management experience having previously worked in technology, living and working in Asia. 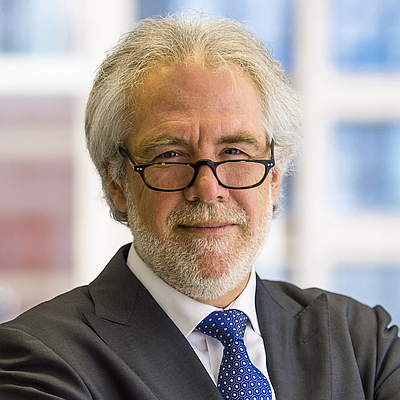 He has held a range of advisory and board roles with government and non-government organisations in the climate change and energy sector, and is a non-executive director of Sustainability Victoria. Kane is a graduate of the Australian Institute of Company Directors, has a Masters in Social Science and Bachelor of Information Technology. 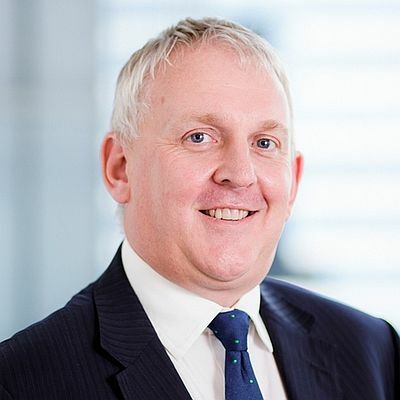 Scott Turner was appointed EDL’s Head of Energy Markets in June 2018. He is focused on managing EDL’s energy markets positions across the globe. An experienced executive with nearly 20 years’ experience in the energy sector before joining EDL, Scott held senior positions at CS Energy and Alinta Energy in coal, wind, solar and gas generation, retail, trading, regulatory, investment and distribution. Most recently he was Interim Executive Manager Commercial at Infigen Energy where he was responsible for leading the business development team and regulatory positioning. Scott is a CPA and has a bachelor’s degree in Business (Accounting). Mark Twidell has worked in the renewable energy industry for over 25 years and since May 2016 been with Tesla leading their entry into the Australian and neighbouring regional stationary energy markets. Mark has worked in Australia, India, USA and Europe in Solar related industry and government leadership roles. Past roles have been Managing Director of SMA in the Australia and SE Asia, CEO of the Australian Solar Institute and a variety of roles with BP Solar managing activity across Australia, Asia and the Middle East. He has served on the Boards of the Australian Renewable Energy Agency (ARENA) the Clean Energy Council (CEC) and various private sector companies throughout Australia and Asia through his roles with SMA and BP. Mark has an Electrical and Electronic Engineering degree from the University of Edinburgh and an MBA from Sydney University. 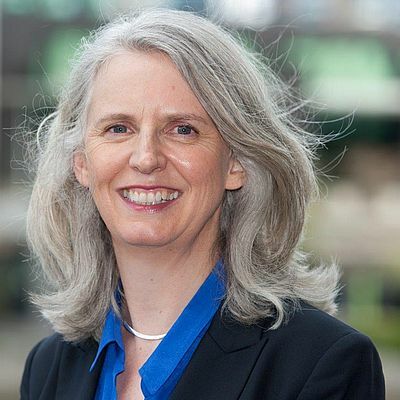 Stephanie Unwin is Chief Executive Officer of Horizon Power, a Government Trading Enterprise that generates, distributes and retails electricity to more than 48,000 connections across 35 microgrids and the North West Interconnected System. Horizon Power has the largest footprint of any utility globally at 2.3 million square kilometres, and operates in the naturally resource rich and remote areas of Western Australia. Ms Unwin is a recognised energy industry leader, having held a number of senior executive roles with Synergy and Verve Energy between 2008 and 2017. 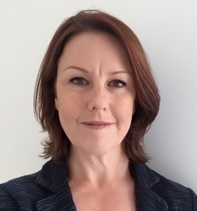 She joined Horizon Power in 2019 from the CBH Group, where she held the position of General Manager Transformation and Technology. Stephanie has extensive experience in retail business strategy, business transformation, digitalisation, project management, and renewable energy project development and holds a Bachelor of Laws (LLB) and Economics (BEcon) from Murdoch University. 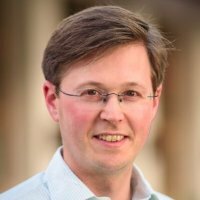 Matthew van der Linden is the Director of transformative energy retailer Flow Power and energy management practice Utilacor. Matthew’s vision is to transform the way Australian industry interacts with energy and to create better energy retail options. 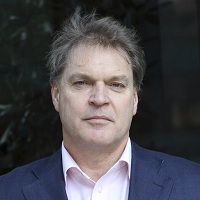 Using knowledge and experience of the UK’s deregulated energy market, Matthew became heavily involved in the deregulation process in Australia through 1994. This led to Matthew starting Utilacor and the creation of the powerful and unique energy management tool kWatch, which continues to provide quantifiable benefits to customers today. More recently Matthew began Flow Power, formerly known as PG Energy. The Licensed Electricity Retailer specialises in addressing the needs of large customers across the National Electricity Market, in South Australia, Victoria, Tasmania, New South Wales and Queensland. This innovative business works with customers across industries as diverse as cold storage, quarries and agriculture to leverage the wholesale electricity market. Mark Vincent has over 30 years’ experience in the energy industry and has been engaged in many areas within the electrical sector, including Regulation, Operations Management, Strategic Planning and Business Transformation. He is currently responsible for asset management and network operations with SA Power Networks, with a particular focus on transformation of the business’ network and services to adapt to the distributed energy transition. Mark holds a Degree in Electronic Engineering and several post-graduate qualifications. 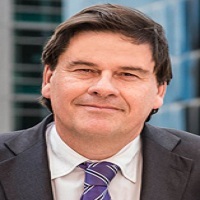 He is a Director, and chairs the Corporate Governance Committee, of the Electricity Industry Superannuation Scheme (SA) and sits on the Energy Industry Roundtable, providing advice to the Federal Government on energy policy. Jason has served as the chief executive officer (CEO) of Synergy since January 2014 and prior to that he was the CEO of Verve Energy for two years. Synergy is Western Australia’s largest electricity generator and retailer with a diverse range of power generating assets located throughout the South West Interconnected System and has in excess of one million residential and business customers. Jason holds a Bachelor of Engineering and a Graduate Diploma of Business from Curtin University and has a background in engineering, power system planning, energy trading and fuel contract negotiation and management with 27 years’ experience in the energy sector. 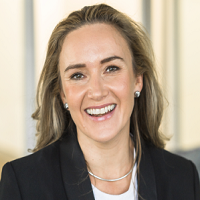 In August 2018 Rachel was appointed to the role of Interim CEO for the Pacific Hydro group, with responsibility for the company’s businesses in Australia, Chile and Brazil. 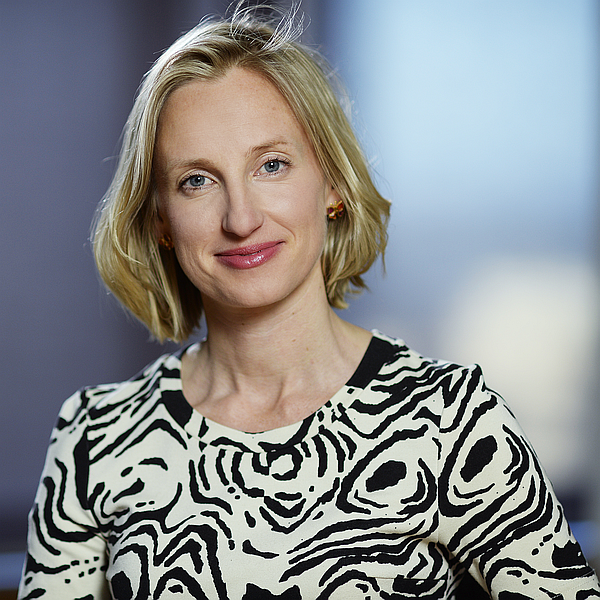 Rachel Watson joined Pacific Hydro in April 2006 as Corporate Lawyer. She has held a range of roles within Pacific Hydro, including Executive Manager Finance and Legal, Head of Commercial and GM Group Services. Prior to joining Pacific Hydro, Rachel worked as in-house counsel in Sydney and Melbourne for Orica Ltd, and spent three years in Japan working for a major turbine supplier. She has over 20 years’ experience in major contracting transactions and other general commercial law issues. Rachel has been a director of the Clean Energy Council since 2014 and she currently chairs the Board of the CEC. He was Chief of Staff to the Australian Minister for Foreign Affairs, Alexander Downer, from 2004 to 2006. 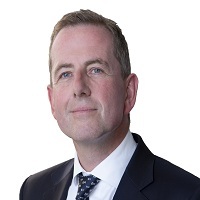 Earlier, Innes held a number of private sector and government positions including Manager of Global Public Affairs for Singapore Airlines based in Singapore (2000-04). Innes began his working career as a journalist. His positions included Chief of Staff at The Age newspaper in Melbourne and Chief Political Correspondent for The Age in the Canberra Parliamentary Press Gallery. Innes was educated at Melbourne High School; Monash University (BA History and Politics); and Edinburgh Business School. He is on the Board of Windermere – Victoria’s oldest family and child services agency. He is based in Melbourne and is a lifetime supporter of the Collingwood Football Club. 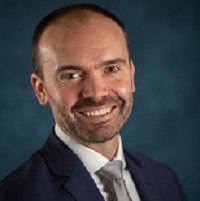 Previously, Ben was the Director of Strategy and Regulation and Chief Financial Officer at UK Power Networks (UKPN), a large electricity distribution company in the UK with 8 million customers, and also owned by the CK Group. 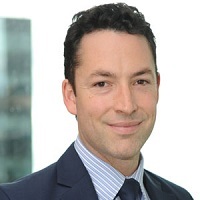 Before joining UKPN in 2011 Ben was a utilities investment banker for fifteen years, working Europe, Asia and Latin America, most recently at Deutsche Bank. 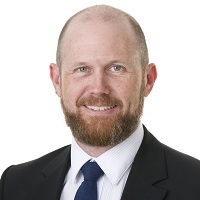 Ben commenced with Australian Gas Infrastructure Group in March 2015. Gordon's 20 involvement in the energy industry started with 10 years of energy industry advisory, mergers and acquisition roles at Fay, Richwhite and UBS. From advising the shareholders of Snowy Hydro from 1995 up to the corporatisation of the company in 2002, Gordon joined Snowy Hydro in 2003. 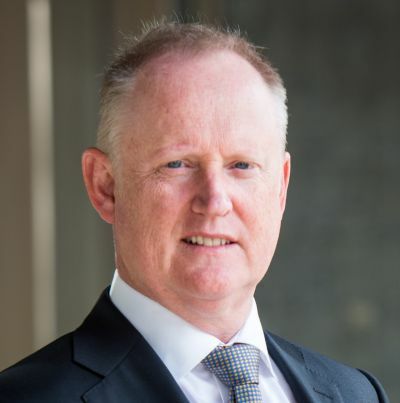 He has been CFO since July 2006 and has played a leading role in the development of Snowy Hydro’s risk management framework and the company’s evolution from generator to its position as the fourth pillar in the National Electricity Market. Merryn has more than 25 years’ experience in the Queensland electricity industry. Her career encompasses experience in strategic business development and asset management to optimise the long-term return on investment, network planning, regulatory affairs, customer management and strategic development of the transmission network. Merryn attends the Board’s Audit, Risk and Compliance Committee, the People, Culture and Remuneration Committee and the Harold Street Holdings and Powerlink Transmission Services meetings. Ms Zibelman has extensive experience in the public, private and not-for profit energy and electricity sectors in the United States, most recently having held the positions of Commissioner and Chair of the New York State Public Service Commission (NYPSC). During her tenure at the NYPSC, Ms Zibelman led the design and implementation of extensive regulatory and retail market changes to modernise and transform the state’s electricity industry. 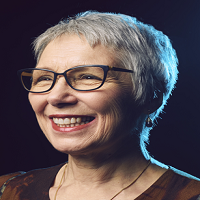 A recognised national and international expert in energy policy, markets and Smart Grid innovation, Ms Zibelman is a Founder and past President and Chief Executive Officer of Viridity Energy, Inc. Previously, Ms Zibelman was the Executive Vice President and Chief Operating Officer of PJM, a regional transmission operator of the power grid and wholesale power market across the eastern United States. 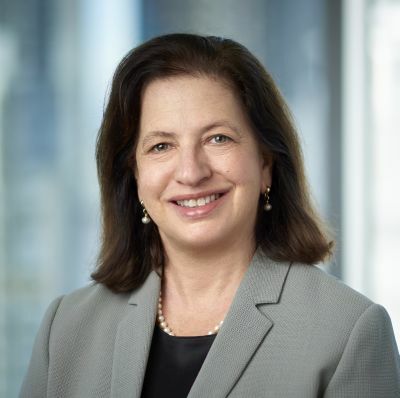 Ms Zibelman also held legal and executive positions at Xcel Energy, served as General Counsel to the New Hampshire Public Utilities Commission, and was Special Assistant Attorney General in the Minnesota Attorney General’s Office.